ℹ️ At the time of publishing this post was set in Plex — I'm trying to get my hands a little dirty. I won't dwell on it, but Helvetica and Helvetica Neue are not ideal fonts for the web for technical, brand and usability purposes, particularly when you're showing a lot of scientific data tables, as we do at EMBL-EBI. Small note: Within EMBL-EBI we've used Helvetica Neue as our "corporate" font both in print and online for many years, now we're considering a change. The below blog post is shaped by that discussion, but the thoughts here are my own. After a lengthy discussion and consultation we're currently analysing Fira Sans as our likely next font for both corporate and data uses. For those that don't recall, Fira is an Erik Spiekermann typeface that was developed for Mozilla's now defunct Firefox OS. We're working through the best way to utilise Fira Sans (and the great Fira Code). A major concern are fonts when it comes to data tables. But what I want to chat about is what IBM has been up to: unveiling their new Plex font family made by Bold Monday. IBM discusses their change in typeface. IBM is looking to solve many of the same issues that we are at EMBL: Helvetica is an imperfect and bland go-to choice. With the exception of the serif style (and perhaps the development community), Fira has many of the same advantages. I also noticed that Fira and Plex share quite a bit in style, so I wanted to take a quick look at some of the letterforms. Here's a quick comparison between, Plex, Helvetica, Fira and a couple of other stand-ins — these are SVGs, if you want to download and compare glyphs without having to install fonts. Like Fira, Plex seems to play well where Helvetica was once used and both Fira and Plex fix a number of long-standing issues around the lowercase "L" and overly tight "c" and "e". Fira and Plex have personality in the letterforms. Plex might be a bit more conservative than Fira, and the uppercase "i" is a clear win for environments where you don't want to confuse a vertical pipe "|" and lowercase "l". The uppercase "E" has also been shortened less than Fira. The wide width of Plex's numbers is notable. Again, this may be a concession for data environments, particularly the styling of the number "1". The Plex italics also add a big flair. Especially in the mono style (where both Fira Code and Mono lack a true italic). However my main interest at the moment is data compatibility — but personality in italics could be quite nice. Plex has distinct narrowing on some of the lowercase letters that are reminiscent of "ink traps"
Fira has a slightly whimsy feel with the top and lower cap on some letters (look at the ascenders of the b, h and h, and the q's descender). 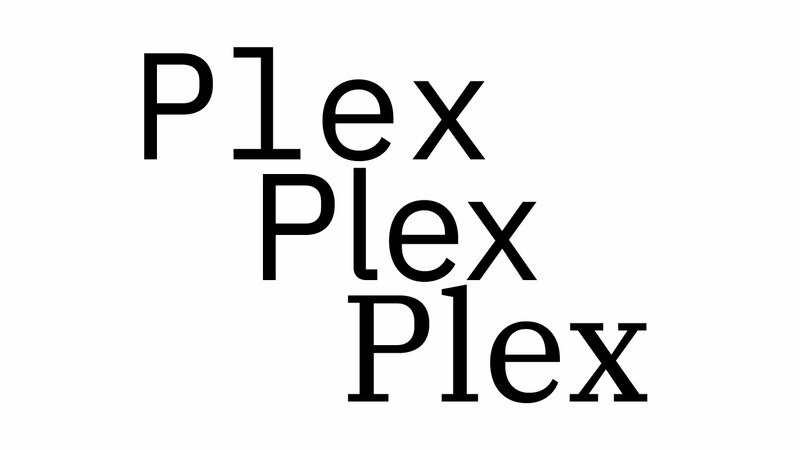 Also note Plex's very square "t", it feels like a mono style. On the whole, Plex seems a bit more conservative, practical and airier than Fira. I'm sure we'll hear much more about Plex in the coming months (I'll also be very interested in the nice tooling around their design system), but I did want to compare and contrast Plex and Fira specifically -- or, at least a little bit of them.